So PSG have replaced their Nike logos with a Jordon one for their CL match tonight against United. Is this something they have done before? What would you guys feel about that? Loved Michael Jordan when I was a kid (the actor, not the basketball player (I can see into the future)) but that would have no relvance to us whatsoever, so it’d be totally needless. Yeah they have a range of Jordan wear for the champions league this season and a general Jordan collection. Some of the stuff is actually pretty nice IMO. Dafuq has Air Jordan got to do with PSG? Because the NBA/Jordan brand is literally one of the strongest in the world, and defies borders. Look at the global betting market and the importance of NBA betting. For PSG, marketing the football has long since stopped being as important as trying to market the the club, brand and identity. Also, the Emirati are trying to do more than just promote an airline with PSG and their branding on Real and Arsenal. No amount of money is too much to continue the remaking of Dubai's image. Psg is Qatari money. I wouldnt expect the Emerati to last much longer as their sponsor. Air Jordan is also a Nike Brand. So it would have just been a decision at the start of the season to use the brand on their European Shirts, simply to shift a new range of shirts. No one would have said a thing if PSG had a swoosh yesterday. A little 23 dunk and all of a sudden people notice. Talk. And the brand benefits. People seem to wear psg stuff about. Pretty sure a lot of them arnt even fans. I think it's to appeal to the "urban" yoot. Aj Tracey was wearing a psg jacket the other day and he's a spurs fan (tattoo on his arm). They're just a brand. I can see what they were trying, but our badge and the Nike logo just get lost in that. Well that's pretty bloody horrible. Exactly what I thought. The stripes, badge & Nike logo just all seem to go in opposite directions & make you feel like your eyes are going to bleed out if you stare for too long. I actually like it but they wont use it. 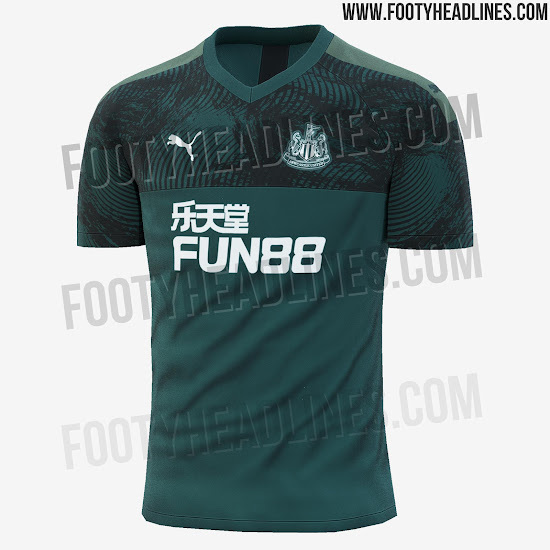 I could maybe see it as a training shirt without the sponsor. Maybe it would look better if they just used the pattern on the sleeves instead and kept the rest of the shirt plain white. If they want to use a retro design for inspiration they should really look more towards this one. Take out the collar and have a v neck with a pattern running up the neck and down the sleeves. Love it. Looks more discreet & classy. 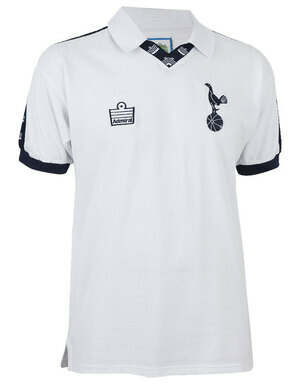 And it would look even better with the less intrusive Nike tick, rather than the admiral badge.